Tyson Fury, the true King of the heavies? Tyson Fury reacted to Anthony Joshua‘s unanimous points victory over Joseph Parker by saying ‘there can only be 1’. 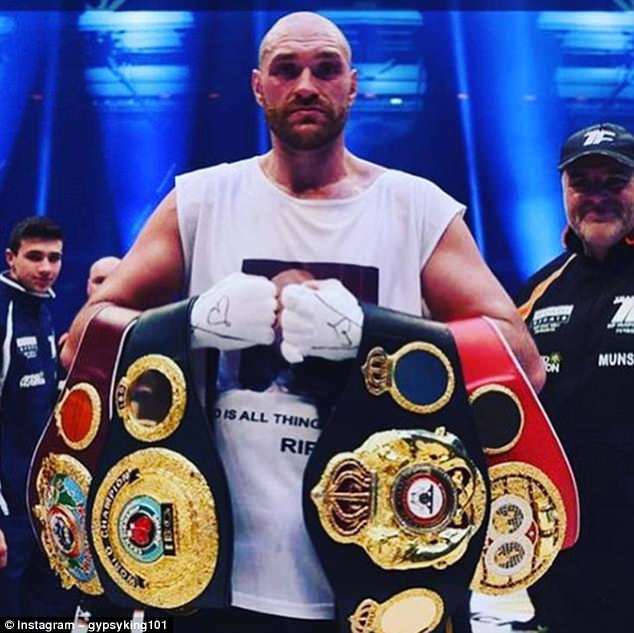 Fury posted a picture of himself on Instagram with the same four belts Joshua now holds after he added Joseph Parker’s WBO strap to his IBA and WBA titles with a win in Cardiff. Fury held those four belts after beating Wladimir Klitschko back in 2015. 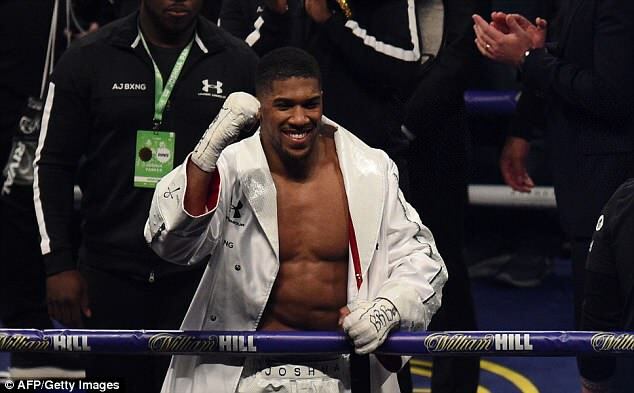 Joshua did talk up the possibility of a fight with Fury, who is aiming to return to the sport after more than two years out, after the bout, but his main focus was calling out Deontay Wilder. 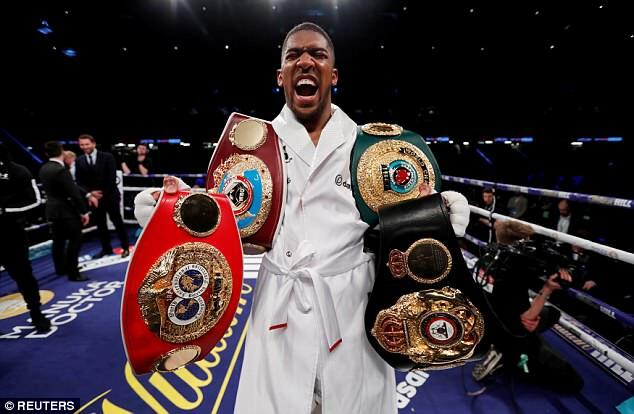 After taking the latest step on his road to the undisputed heavyweight title, Joshua told the WBC champion he was ‘down to ride whenever, wherever’ and would ‘knock him spark out’. 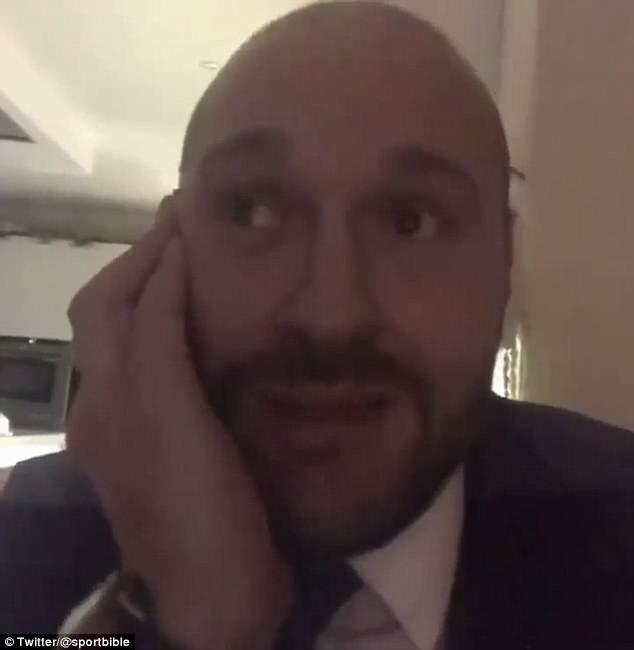 Fury had provided commentary for the fight at the Principality Stadium on Saturday night on his Instagram story but the videos seem to have since been removed.